Darren Aronofsky’s mesmerizing and intense anti-drug film “Requiem for a Dream” is a revelation. Although the film deals with the depravity of drug addled youth, the film never trivializes the experience. “Requiem for a Dream” begins with a terribly over-the-top infomercial called “Juice by Tappy” that captures the kinetic energy of the film well. But, immediately after this quick intro is over, Darren Aronofsky lets his film breathe a little with a forceful scene of Jared Leto, as heroin addicted Harry Goldfarb, confronting his mother in an ill advised attempt to pawn off her beloved television for more drug money. What I find most interesting about this opening is the way that Aronofsky is able to show the ways that the addiction in our lives can cause us to be cold and unresponsive to the outside world. Take Sarah Goldfarb as the mother with her own addiction. Here is a mother who clings so passionately to her television that she would rather escape into the fantasy world of television than deal with the problems of her addictions as well as her son’s addiction. It’s a heartbreakingly real opening scene and one that fits the entire tone of the movie well. Addictions can, and will, ruin your life. As bad as the outside world may appear to be, isn’t it better than living in a deluded reality of no meaning? While it may be unfair to compare the tones of the opening sequences another film about drug addiction, “Trainspotting”, both films are trying to accomplish different goals, I believe that the opening sequences of “Requiem for a Dream” are undoubtedly more powerful. Within mere seconds, these feel like real characters with real problems. 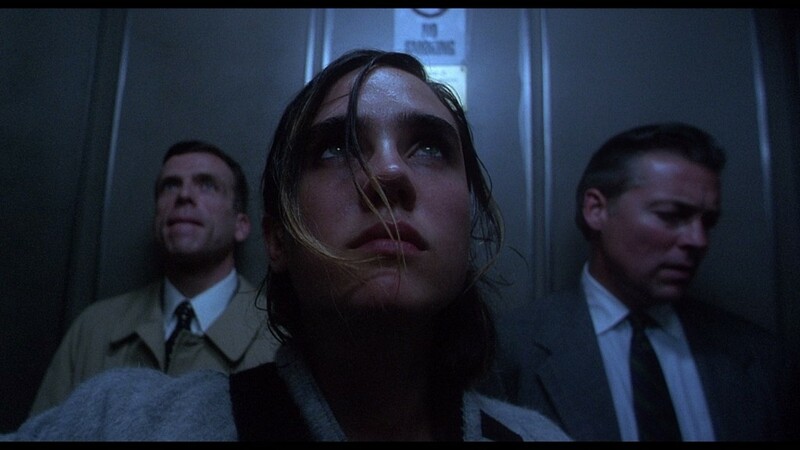 Unlike “Trainspotting”, a film in which the audience has a hard time relating to any of its characters, “Requiem for a Dream” forces its audience to confront their inner demons and face the addictions that we all carry in our lives. I can’t really say that one opening is better than the other as both have solely different purposes but “Requiem for a Dream”’s opening is the one that sticks with me. It’s a film that I haven’t seen in three years and it’s a film that is so powerful and emotionally draining that I could wait another three years before seeing it again. Both introductions fit each of the different films individual stories and characters well but I think it’s these openings that definitely separate the two films. “Trainspotting” is the good film whereas “Requiem for a Dream” is the incomparable masterpiece.